DEC-13-94, a FLAGSHIP AIRLINES INC. British Aerospace JETSTREAM 3201aircraft out of Morrisville, NC. Crashes, killing 15 and seriously injuring 5. The airplane crashed about 4 miles southwest of the runway 5L threshold during an ILS approach. The captain had associated the illumination of the left engine IGN light, illuminated as a result of a momentary negative torque condition when the propeller speed levers were advanced tp 100% and the power levers were at flight idle, with an engine failure. There was no evidence of an engine failure. The captain failed to follow established procedures for engine failure identification, single engine approach, single engine go-around, and stall recovery. AMR Eagle training did not adequately address the recognition of engine failure at low power, the aerodynamic effects of asymmetric thrust from a "wind milling" propeller, and high thrust on the other engine. AMR Eagle and Flagship Airlines crew training records do not provide sufficient detail for management to track performance. Flagship Airlines management was deficient in its knowledge of the types of crew records available, and in the content and use of such records. 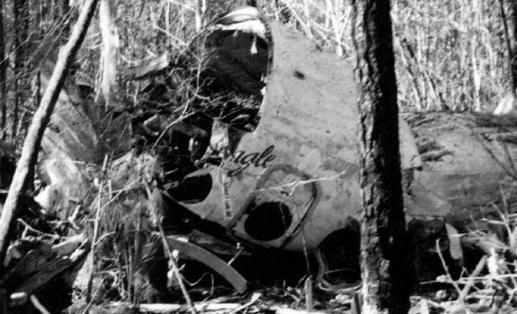 Probable Cause: 1) the captain's improper assumption that an engine had failed, and 2) the captain's subsequent failure to follow approved procedures for engine failure, single-engine approach and go-around, and stall recovery. Contributing to the cause of the accident was the failure of AMR Eagle/Flagship management to identify, document, monitor, and remedy deficiencies in pilot performance and training.